More than any other individuals, children are most vulnerable to road crashes for various reasons. Last year alone, the Metropolitan Manila Development Authority (MMDA) reported 400 fatal road accidents in Metro Manila, more than 200 of which involved children 15 years and below. Cognizant of this fact, the Motorcycle Development Program Participants Association (MDPPA), the leading organization of motorcycle manufacturers ,composed of Honda Philippines Inc., Kawasaki Motors Philippines Corporation, Suzuki Philippines Inc., Yamaha Motor Philippines Inc., and Kymco Philippines, Inc. promoting road safety for all, conducts the Road Safety Seminar for Children for free using interactive road safety education activities right in the campuses of different elementary schools in Metro Manila as part of the organization’s advocacy. 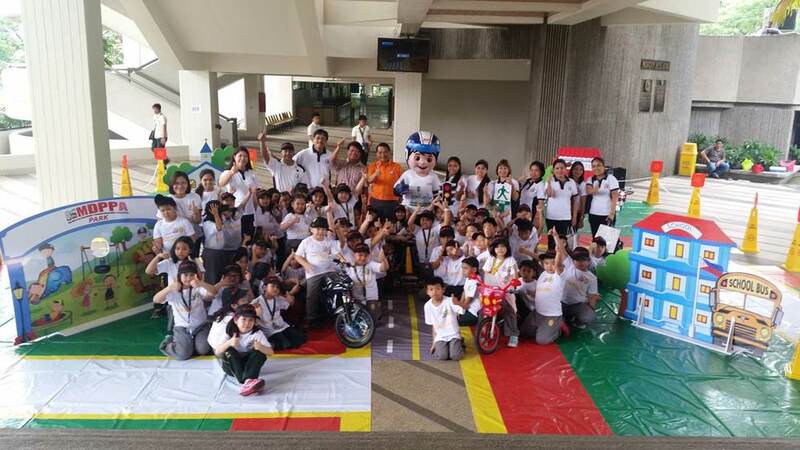 The second leg of the seminar, held in collaboration with the Far Eastern University-Nicanor Reyes Educational Foundation Diliman College (FEU-FERN), included hands-on exercises, road situation simulation in the portable children’s road safety park and the appearance of MDPPA’s mascot “Rodi”. 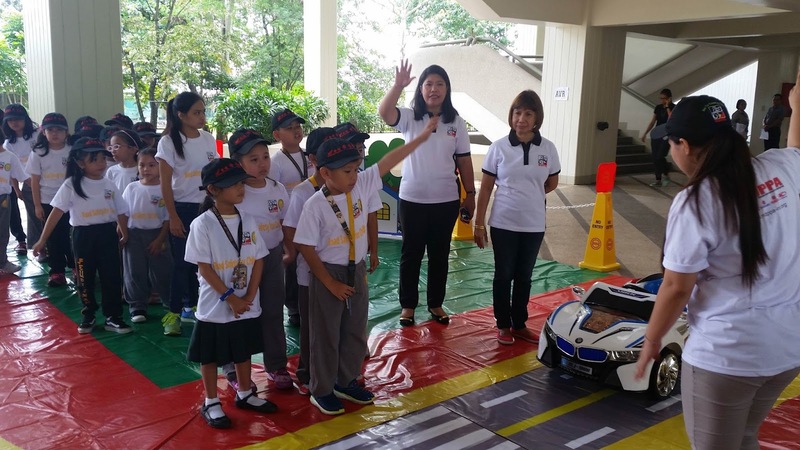 The one-day event was held last September in FEU-FERN campus in Diliman, Quezon City and was attended by grade two pupils. Grade Two teacher and one of the seminar speakers Deceree Carimal shed light about the innovative format of the seminar. “Children are visual learners so they need to see what’s being explained,” she said, noting that it is more difficult to impart the lessons by just verbally explaining the concepts. Carimal added that when children see adults violating traffic rules, it is very likely that they will mimic what the adults are doing. “A major cause of road crashes is the intentional ignorance of traffic rules,” said Engr. Alberto Suansing, Secretary General of the Philippine Global Road Safety Partnership (PGRSP), a non-profit organization that brings together government agencies, business entities and civil society to address global and local road safety issues. “We have to inculcate the habit of following traffic rules among children, and impress on them the ideas that discipline and adherence to safety practices—for example, as simple as wearing a helmet when riding a motorcycle and crossing the road using the pedestrian lane—are what will save their lives. 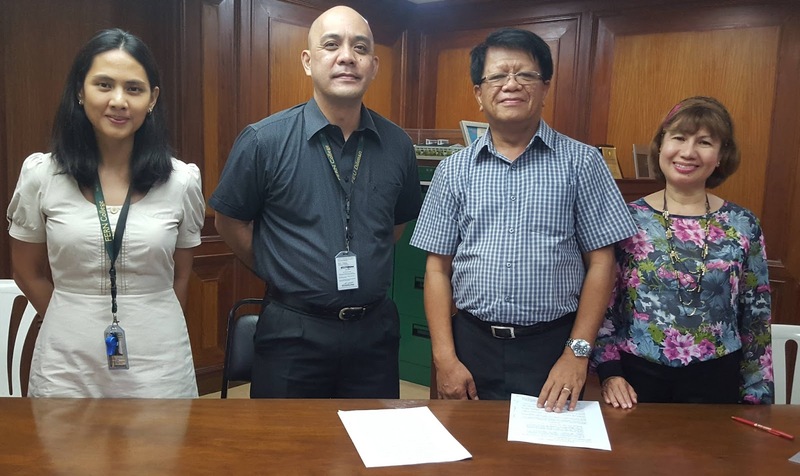 The best way to start is to simplify the lessons by using visual and practical learning strategies,” added Suansing, who is also the former assistant secretary of the Department of Transportation and Communications (DOTC) and was in concurrent capacity as Chief of the Land Transportation Office (LTO). The Road Safety Seminar for Children is also in pace with the UN Road Safety Collaboration's global campaign called “#SaveKidsLives”, which aims to make roads safer for everyone especially the children. MDPPA plans to hold the seminar in more elementary schools this quarter.